We get a lot of questions in our inbox, and though we try to answer all of them individually, we hope this post helps to answer some of the most common questions we hear. What's the difference between Mezcal and Tequila? Mezcal and tequila are (mostly) produced in different regions of Mexico. Though some regions can produce either mezcal or tequila, most tequila comes from the state of Jalisco. Most mezcal comes from the state of Oaxaca. Mezcal and Tequila are (mostly) made from different varieties of agave. Tequila is made strictly with the Blue Weber agave, while mezcal can be made with any type of agave. Some say there are over 30 different agave species used in mezcal today, each with it’s own unique flavor and character. 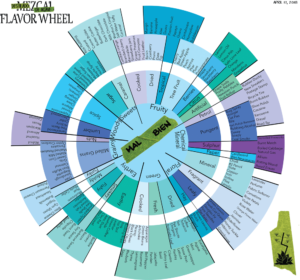 Mezcal and Tequila are (mostly) made using different production processes. Most Tequila producers use industrial ovens to cook their agave, while mezcal producers cook their agave in underground pit ovens. Most Tequila producers use industrial shredders to break up the cooked agave. 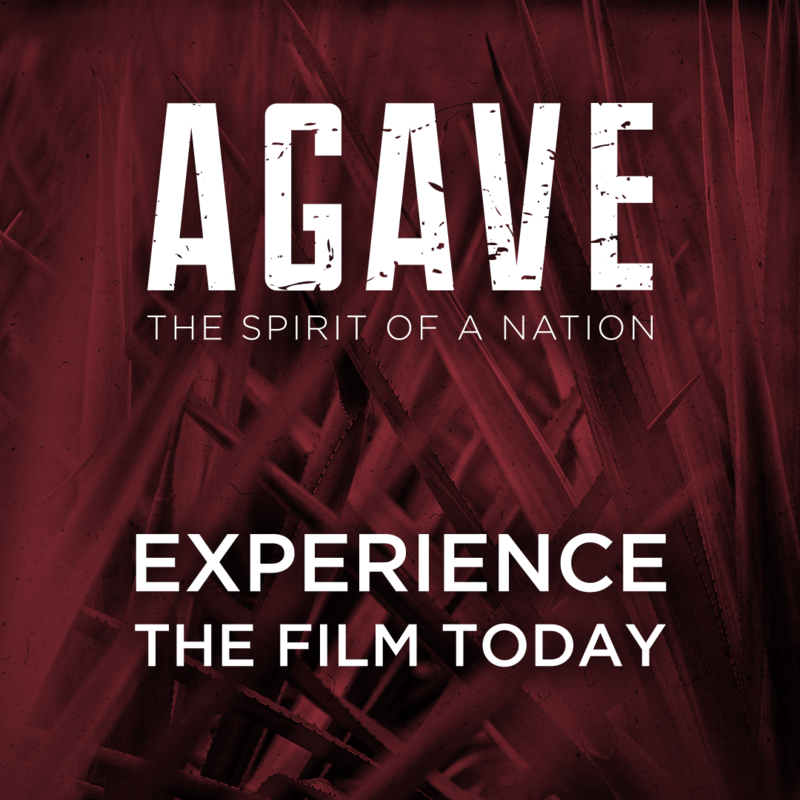 Most Mezcal producers mill the agave by hand with axes and mallets or with a horse-drawn tahona. Lastly, most Tequila producers use large industrial stills, while most mezcal producers use very small copper or clay stills. A “small batch” of Tequila is around 10,000 liters, while a “small batch” of mezcal could be just 50-100 liters. Mezcal gets its smoky flavor from the cooking of the agave. In mezcal production, the agave are cooked in a large underground pit oven that is typically lined with volcanic rock or river stones. The agave are laid in the pit with smoldering mezquite or encino wood. Other types of wood can be used, but mezquite and encino seem to be the most common. 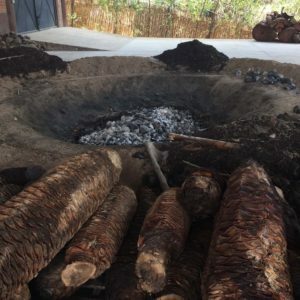 Producers will then bury the smoldering, smoking pile of agave with cloth, dirt, spent crushed agave, stones, and other heavy insulating natural materials for 5-7 days. The agave is essentially smoked in the underground pit oven, which gives mezcal its signature smoky taste. Does mezcal make you hallucinate? People sometimes confuse mezcal with mescaline. They are different and not at all related. While mezcal can give you a euphoric, elated buzz, it’s never made anyone see their grandmother climbing up their leg with a knife in her teeth. That said, there are many mythical beliefs about mezcal and it’s cleansing/healing powers on both the body and mind. How do you drink mezcal? As mezcal legend Ron Cooper said “Sip, don’t shoot.” Typically mezcal is sipped neat at room temperature with no water, ice, or anything else added. That said, there are plenty of whisky connoisseurs who prefer to add a drop of water to their mezcal, which they also presumably do with their whisky. Is this wrong? Of course not. Though I’ve never seen anyone in Oaxaca add water to their glass of mezcal, I’m confident the producers would be elated to hear that you like their mezcal, regardless of whether it has a drop of water in it or not. The other main consideration is what glass or cup should be used to sip mezcal. Mezcal Copitas are small clay or ceramic cups that are commonly used. Vaso Veladora Mezcal Glasses are small shot-like glasses that are commonly used in Oaxaca. There are also some other companies out there producing some cool re-envisioned drinking vessels. If you visit a palanque in Oaxaca, you could be drinking mezcal out of everything from a plastic bottle to a short bamboo shoot. Do you chill mezcal? Or is Mezcal served cold? Traditionally mezcal is served at room temperature. We don’t ever chill mezcal, but that doesn’t mean it can’t be done. What does Mezcal taste like? Mezcal tastes different to everyone and each mezcal can taste vastly different from other mezcals. There are myriad technical details in production that could be slightly altered by the producer to make their mezcal taste a certain way. Another big factor in the taste is the terroir of the agave, which essentially means the complete natural environment in which the agave is grown, including factors like the soil composition, topography, and climate. Wine drinkers often talk about the terroir of the grapes having an impact on the flavor of the wine. The same is true for mezcal. While grapes are on the vine, absorbing the terroir of their surroundings for 7-9 months, some agave can take upwards of 25-30 years to reach maturity. The agave absorb everything from their surroundings over this period of time, and it greatly impacts the taste of the mezcal. For example, agave grown near pine trees can create mezcal that tastes vastly different from mezcal made from agave that grew in a field of mango trees. Can you eat the mezcal worm? Do you really want to? Before you go digging up worms for dinner (or pulling them out of your most recent bad purchase), check out the link to Mezcal PhD’s post in the previous question. 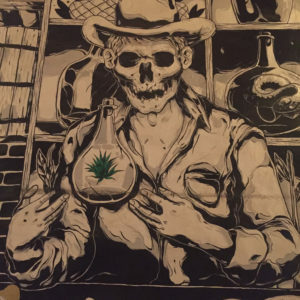 Where can mezcal be made? Mezcal can only be made in certain states in Mexico. As of the posting of this blog post, mezcal can be made in Oaxaca, Durango, Guanajuato, Guerrero, San Luis Potosí, Tamaulipas, Zacatecas, Michoacan and Puebla (with more states potentially being added in the future). While other states in Mexico are distilling agave, they are not able to call their distilled agave mezcal due to the Denomination of Origin that is regulated by the Consejo Regulador del Mezcal and the Mexican government. In other states, distilled agave might go by the name Bacanora, Raicilla, Tepe, Lechuguilla, or some other regionally accepted naming convention. How much alcohol is in mezcal? While the exact amount of alcohol in mezcal varies per bottle and batch, all mezcal (according to NORMA) must be between 36-55% ABV. Many mezcal purists will say that all mezcal should be 45% ABV or higher, and you can certainly find producers in Oaxaca bottling puntas (which is the first cut off the still), at upwards of 65-75% ABV. The highest we’ve seen was measured at 79% ABV at Mezcaloteca in Oaxaca City. That said, most mezcal found outside of Mexico is somewhere between 40-50%. 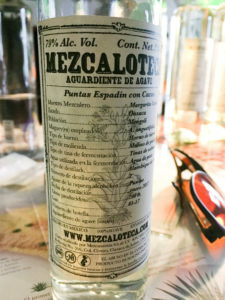 Most 40% ABV mezcal is used primarily in cocktails, while the higher ABV mezcal is mostly sipped neat. This is a bit of a departure from what’s seen in other popular spirits like gin, tequila, or whiskey, which all land around 40% ABV (save for some specialty brands). The higher ABV in mezcal typically brings more dynamic flavors, aromas, and mouthfeels, while a lower ABV mezcal may contain similar flavor or aromatic notes in a more subdued fashion. The lower ABV can also be better for cocktails as it won’t overpower other ingredients. Almost all mezcal is vegan. The exception is what is known as a Pechuga. 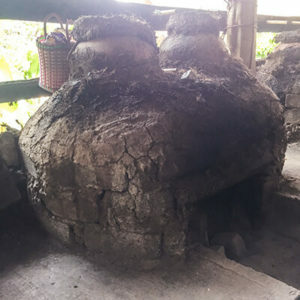 A Mezcal de Pechuga is made by adding seasonal fruits and herbs into the final, third distillation of the mezcal, and a chicken breast (or turkey or other animal meat) is hung in the still allowing the vapors of the third distillation to pass over the meat. Aside from mezcal de Pechuga, almost all other mezcal is vegan. Can I substitute mezcal for tequila? Yes! Absolutely. Some of the best cocktails are made by simply switching out one spirit for another. Like margaritas? Try a mezcal margarita. Like palomas? Try a mezcal paloma. Like old fashioned? Try a mezcal old fashioned. The possibilities are endless. Anything that could work well with a bit of smoke and little sweetness is perfect for trying with mezcal. Why am I obsessed with mezcal? The common phrase, you don’t find mezcal, mezcal finds you, is mostly true. Almost all the people we meet through this site had no intention of becoming deeply enamored with a mythical spirit that’s been produced in Mexico for several hundred years. Tyler and I didn’t really plan on it happening either (and we built a whole website about it 😬). Mezcal has a tendency to latch on when you least expect it. If you’ve found yourself on this blog post, check out the rest of our site, read what other reviewers are saying about the brands available in your area, and keep sipping. 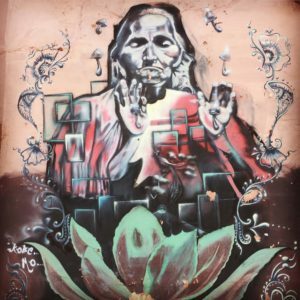 This blog best read enjoying a new mezcal find!